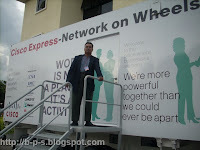 USM becomes the first Malaysian Universiti in Malaysia to be visited by Cisco Express Network on Wheels. 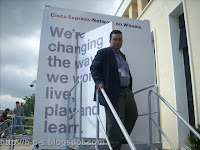 Networking company Cisco Systems Inc is out to give ICT week visitors a taste of its technology solutions via a travelling demo centre, named the Cisco Express-Network on Wheels. 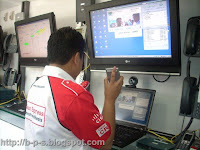 Housed in a 40ft container, the centre is packing RM380mil worth of hardware and software to conduct the demostrations. It is on a six-week tour of the country, now is in Universiti Sains Malaysia, Pulau Pinang. This demonstration showcased Cisco solutions for unified communications, public-safety announcements, digital signages, building automation, energy control, facilities management, and more. Are you with Adsense or against Adsense?